The third day of Bonnaroo 2015 began early with temperatures warming to near 90 Degrees and the beloved clouds beginning to wane. Saturday is always the longest day at Bonnaroo with music starting before noon and going until first light, which comes early in Eastern Tennessee, just a few weeks from the summer solstice. Many festival campers were beginning to sag under the searing summer sun. Lines were long to get into the air conditioned venues like the comedy tent where Madmen star John Hamm could be observed feeding gummy bears to comedian Zack Galafanakis down on all fours. There were long lines into the cinema tent as well where a pale dark hooded Cory Feldman answered questions about his film career and played with his all girl band dressed in white lingerie complete with angel wings. But many just passed out in any shady spot they could find. But for those who still had the energy to crowd into the different venues there were also more music choices than any other day. The first band up on the main stage was the Duluth, Minnesota bluegrass troupe known as Trampled By Turtles. This veteran group of the festival circuit is simply one of the best bluegrass bands in the country, with tinges of all manner of Americana music including rock, folk, and country. 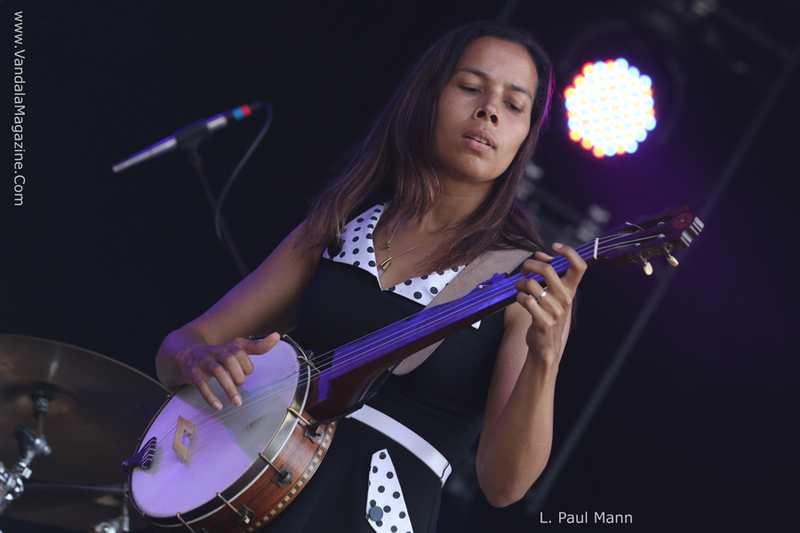 Over on the Which stage Rhiannon Giddens was playing banjo and singing like an angel. The former Carolina and The Chocolate Drops singer has gone solo with her exquisite voice. In the tent area a large crowd gathered for the quirky geeky music of Jack Antonoff and his band the Bleachers. The musical savant has written numerous hit songs for other performers like Taylor Swift and for his own projects including the band Fun. Like Fun the Bleachers are all out feel good rock, but more guitar driven. The War On Drugs took the stage in the afternoon to play their popular brand of retro inspired neo psychedelia. Sturgill Simpson played one of the purest alternative country sets of the festival. Simpsons life read like an episode of Justified, growing up in a small Kentucky town, with a father in law enforcement and relatives in the coal mining industry. Maybe that is why his lyrics seem to ring so true. Gary ClarkeJr., a guitar drenched sunset set on the Which stage in front of a large crowd coming to life with the fading searing sun. Clarke, a child guitar prodigy since the age of 12, channels the Austin blues perfectly into his sets. While a huge crowd gathered for well received set by Bonnaroo veteran jam band My Morning Jacket, a much smaller crowd watched one of the gem sets at this years’ festival. In a salute to deceased African musician William Onyeabor, a small army of legendary jazz, soul and funk players came together under the moniker, Atomic Bomb. The phenomenal players included English soul singer Jamie Lidell, Luke Jenner, Money Mark, Pat Mahoney, Sinkane, Mike Floss, and the incredible jazz trumpet legend Charles Lloyd. The jam was astonishingly good. A little later a sizable crowd gathered around the tiny Who stage for a set by NewYork alternative rockers, X Ambassadors. The high energy foursome wowed the crowd with spunky set. 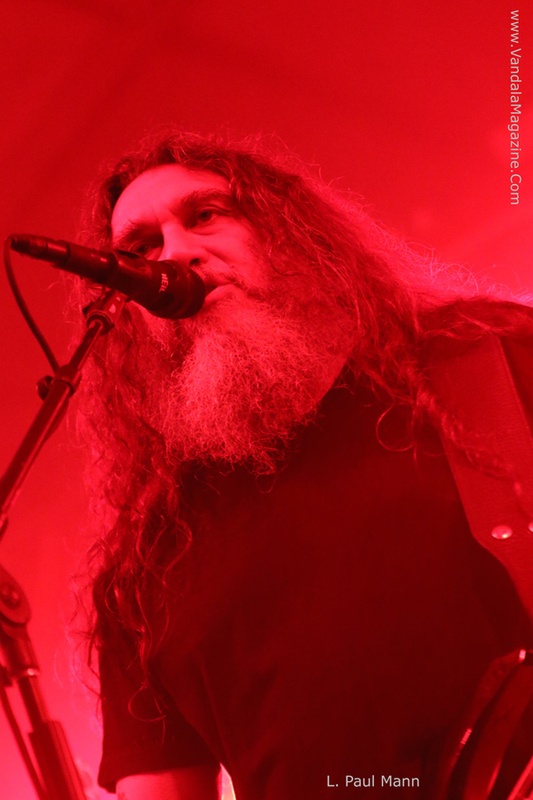 Every year Bonnaroo tries to include at least one big Metal band in the line up and this year it was one of the “Big Four” trash metal bands, Slayer. The band delivered the hard driving head banging set the they are so well known for. The Saturday headline set was by Mumford and Sons. It was a triumphant return for the band who had to cancel their planned 2013 headlining set, and were replaced at the last minute by Jack Johnson. 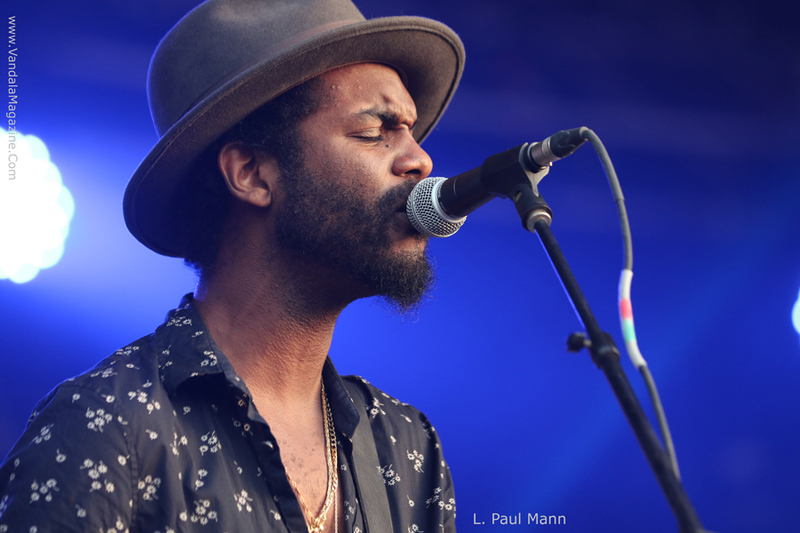 Johnson had actually been at the festival the first night of 2013 as a surprise guest of his long time collaborators ALO. It was great to see that Bass player Ted Dwayne’s seemed to be fully recovered from his emergency brain surgery that canceled the 2013 gig. The band played flawlessly though one of the longest sets on the main stage, before inviting out nearly everyone who had played on the main stage throughout the day. 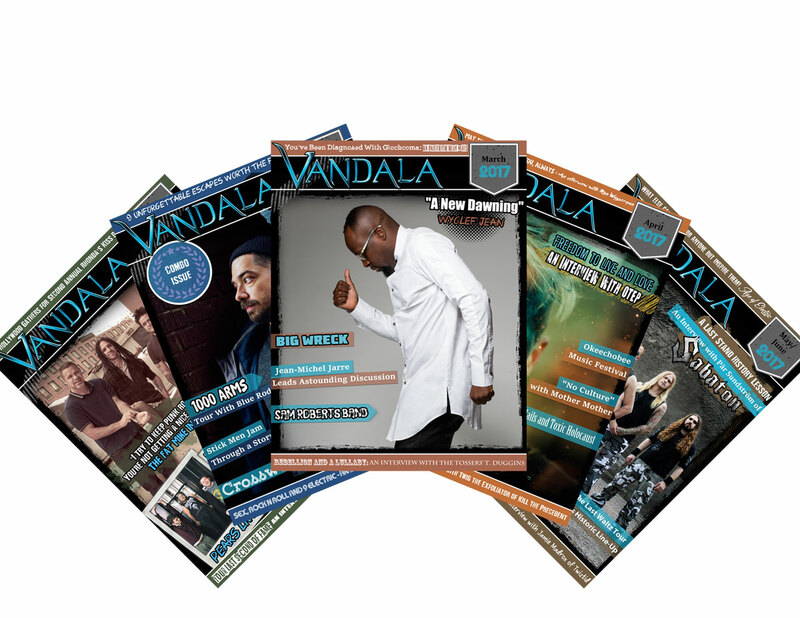 These included My Morning Jacket’s Jim James and Patrick Hallahan, Dawes Taylor Goldsmith, Hozier, photographer and harmonica player Danny Clinch, War On Drugs saxophonist Jon Natzhez and others. Appropriately they all played a cover of “With A Little Help From My Friends”. For many though the biggest thrills for the night were yet to come during the three hour late night jam session dubbed ‘Superjam Throw Back to The 80’s. Like last year an EDM star led the festivities acting as a sort of maestro to the funky orchestra of pop stars. Pretty Lights took the honor this year and Skrillex held the coveted spot last year. The event was kicked off by an exuberant introduction by Zach Galafanakis and John Hamm. What followed was an extraordinary three hour jam anchored by a phenomenal band, and a seemingly endless array of guest singers. The band featured one of the best dual bass match ups ever with the former Allman Brothers Band bassist Oteil Burbridge and Metallica bassist Rob Trujillo. Robert “Sput” Searight played phenomenal drums. A horn section led by Karl Denson smoked the entire night. Eric Krasno and The guitarist from Cherub wailed through the evening. John Medeski and Brian Coogan played an array of keyboards. Guest singers included, Cherub, Rhiannon Giddings, SZA and the Bleachers singer Jack Antanoff, Reggie Watts, Chance The Rapper, Jamie Lidell, and the legendary rapper DMC, who may have stole the show towards the end. The singers picked covers from the 80’s and the live video would be interspersed with clips of the original performers making for a great visual for the legions of music fans trying to cram into the tent for the marathon jam. On an interesting side note, both Antanoff and Watts appeared on the Late Late show the following Monday and did not realize that they were both guest performers in the super jam. While the phenomenal super jam was going one of the biggest EDM stars, Bassnectar was living up to his moniker playing thumping beats across on the Which stage, with a fantastical light show. It is hard to believe that this same dj was the lounge act on the Jam Cruise ten years ago. But as the early morning light began to appear on the horizon and the super jam and Basnectar sets came to a close, young dance enthusiast weren’t done yet. They crowded around the giant Calliope machine, spitting out gas flames high into the air as well as a lazer light show and danced literally until the sun rose.